A lot of great people and great bikes came by today, Oct. 19, when the power was out all over the Monterey Peninsula. 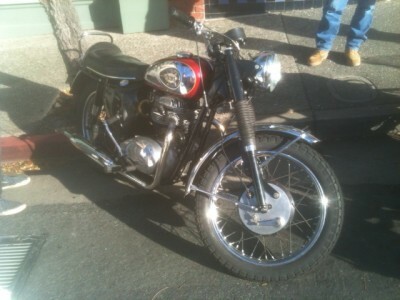 This is Ron Baxter’s 1968 BSA 650 Thunderbolt. Now, if he had a feather and I had that BSA, we’d both be tickled. This entry was posted in Motorcycle Museum: Visitors to the Museum on 18 October 2015 by oldgeezer.